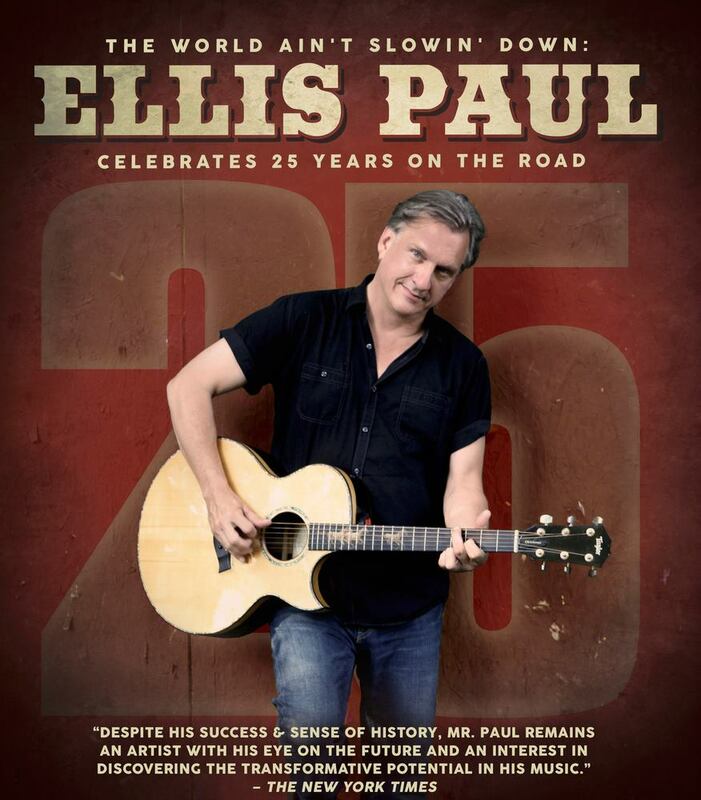 Now celebrating 25 years on the road, Ellis Paul has played some 5,000 shows – gracing stages at the Newport Folk Festival, Carnegie Hall, and clubs and coffeehouses the world-over. A prolific songwriter, he’s penned more than 500 songs. “His songs are literate, provocative and urbanely romantic.” (Scott Alarik, The Boston Globe). He’s recorded and released 20 albums, while his music has also been featured in a number of Hollywood film soundtracks – including several by the Farrelly Brothers – as well as commercials, documentaries and TV shows.